If there is one thing that both of my children love, it is camping...and we've never even been! They just love the idea of camping and of travelling and it's something that they play all the time. So when Room to Grow offered us something to review from their online shop (which is just full of gorgeous things!) I couldn't help but choose the Flower Fairy Snuggle Sac for Ivy so that she could have her own fantastic sleeping bag to cosy up in. 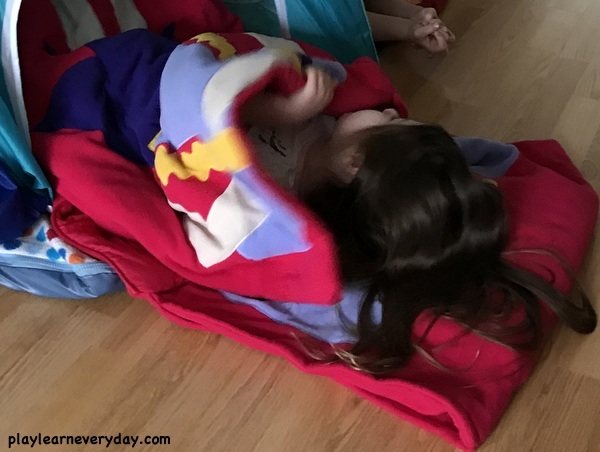 Ivy was very excited when her Flower Fairy Snuggle Sac arrived, and even just opening up the Snuggle Sac was fun. It comes in a great tote bag that makes it easy to carry around and keep clean between uses. Ivy unrolled it and put it out on the floor ready to cosy up in straight away. It's such a brilliant sleeping bag, it's really soft and fluffy and the top part is actually a pillow case, so it really is a whole bed all in one. Ivy couldn't wait to climb inside! Ivy loved the set up of the Snuggle Sac in her tent, we pretended to camp and talked about all of the things that we would do if we were camping (roast marshmallows!!!) 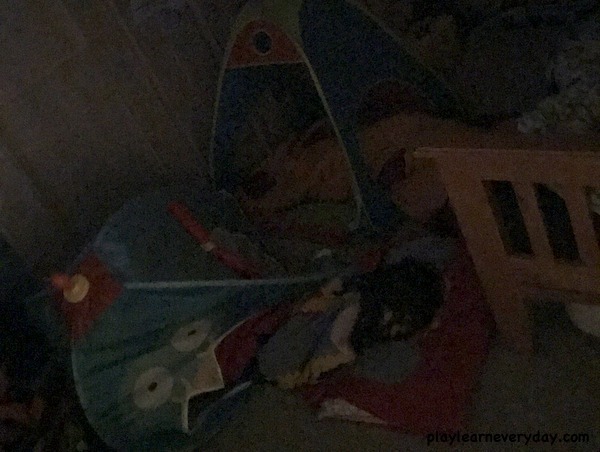 Then we did all of the things that we would normally do at bedtime, and discovered that laying in her Snuggle Sac in the tent made a great place to read together. Then came the most exciting part, I set up another tent and sleeping bag for Ethan and it was time for them to have a cosy sleepover at home! They played together first and talked about how much fun it would be, then giggled together for ages when it was bedtime! Finally they fell asleep, happy and cosy together for their first proper sleepover in their Snuggle Sac sleeping bags. Thank you Room to Grow, we're looking forward to many more sleepovers (and hopefully a real camping trip!) with Ivy's Snuggle Sac in the future.